Early learning is the foundation on which we build healthy and successful lives. As you reflect on your year, consider paying it forward with a donation to SCM’s Annual Fund. 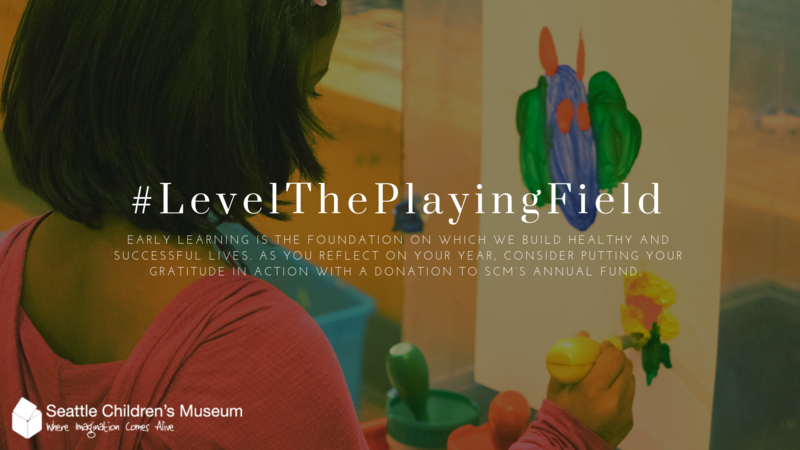 Donations to our Annual Fund support the Museum’s work from the ground up – everything from art supplies to exhibit upgrades to daily programming costs. This year alone we introduced more than 45 new educational programs, created and/or upgraded 5 hands-on exhibits, and further expanded museum access for low income families by joining forces with the Association of Children’s Museums and Seattle Public Library.